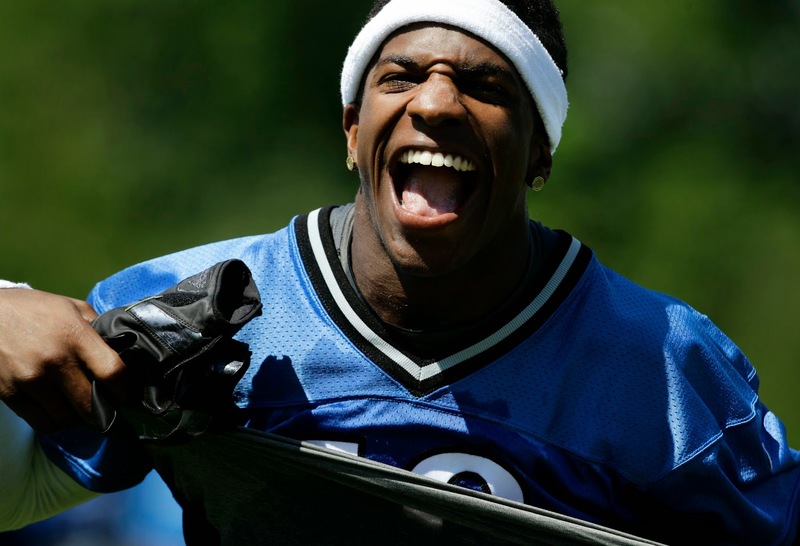 Titus Young, the former Detroit Lions wide receiver, has been hospitalized his attorney Brian Hurwitz told USA Today. It’s been almost a year since Young was arrested twice in 15 hours — once on suspicion of drunk driving and then for trying to break and enter an impound yard to retrieve his black Ford Mustang in Riverside, Calif. That weekend started a crime spree of sorts in southern California for Young. He still faces 11 charges including four counts of felony burglary, but did not appear in court this week because he has been hospitalized. “He’s receiving treatment and is in a safe place,” Hurwitz told USA Today. No details were offered. Young has previously been treated for a mental disorder. Young is now due back in court on June 5, although if a plea deal could be reached he could avoid trial. Young was a second-round pick of the Detroit Lions in 2011. He was cut from the team following the 2012 season due to his disruptive influence. He was signed by the St. Louis Rams, but cut after less than a week. If you missed Thursday's live chat on the Lions, take a look at this transcript that features good questions and possible scenarios about the draft. Next chat is at 3 p.m., Thursday, May 8 — just hours before the start of the NFL Draft. Finally. OK, the countdown continues with just nine days until the NFL draft. It was delayed two weeks this season because Radio City Music Hall was booked for a Rockettes Easter show that never happened. Of course there were hundreds of possible venues available elsewhere, but it didn’t matter. So we wait. And, in the meantime, we continue to ponder exactly what the Detroit Lions will do with the 10th overall pick. Here are five reasons it was a bad idea to delay the NFL draft by two weeks. 1. It gives teams two weeks less to work with the rookies. They’ll bring them in for rookie camps the weekend after the draft, then a few days later they’ll join the veterans for OTAs. (Remember, rookies can participate in this portion of the offseason without a contract.) Rookies need all the time to adjust to the NFL that they can get, this delay robs them of two weeks. 2. The NFL offseason had a certain flow having the draft at the end of April. It’s just been too drawn out discussing the draft with these extra weeks. I mean, what more can be said? Will the Lions trade up, trade down, stay where they are? Lions fans are blessed that the Lions aren’t looking for a starting quarterback. This way the whole Manziel-Bridgewater-Bortles debate is too much and we don’t have to join in that conversation. Talk about dragging on. 3. The NFL is a business, and an extremely successful one, but it doesn’t need the extra two weeks of draft talk. They won’t lose fans, but some fans will get tired of discussing the draft. Won’t they? We’ll see. Commissioner Roger Goodell has floated the possibility that this delay could become permanent. 4. One of my colleagues is amazed at how fans love to devour draft speculation. I’m amazed I can continue to write it. 5. The kids, think of the kids. The three days of the draft could change lives of the NFL prospects forever. I’m not talking just the elite players, but those through all seven rounds. They’ve got to be getting antsy. I know I am. Most of the focus on draft talk for the last several months has been on the first round where the Lions have the 10th overall pick. With 10 days remaining until the draft, let’s take a look at other possibilities in rounds two through seven. The Lions have a total of eight picks with three in the fourth round (due to two compensatory picks) and none in the fifth round because of the lousy trade for wide receiver Mike Thomas at the end of the 2012 season. — Guard/tackle Joel Bitonio of Nevada in the second round if he drops that far. The Lions return their offensive line from last season, but left guard Rob Sims can’t play forever (can he?) so they’ll be looking to replace him down the road. Bitonio (6-foot-4, 302 pounds) played left tackle at Nevada, but is likely to move to guard in the NFL. Matched up well against top opponents including UCLA’s Anthony Barr. _ Cornerback Phillip Gaines from Rice was a four-year starter and two-time captain. He’s another possibility for second round. He’s got size (6-foot), athleticism and experience in man and zone coverage. In the CBSSports.com on Gaines, it say, “Alert and rarely falls asleep at the wheel.” Mel Kiper has mentioned him a few times as a possibility for the Lions. 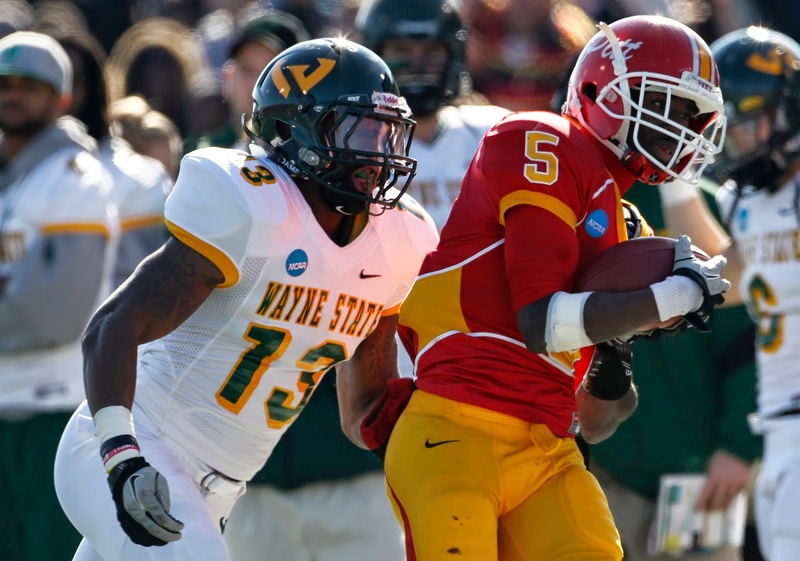 — Wide receiver John Brown of Pittsburg State (in photo) would be solid pick in fourth or fifth round. While he doesn’t have the size (he’s 5-foot-10, 179 pounds) he’s one of the speediest players at the draft. Brown ran a 4.34 at the Combine. He was a multiple threat as a receiver and returner for the Gorillas. He had five career touchdown returns, along with 34 receiving touchdowns and six rushing at the Division-II powerhouse in Kansas. — Wide receiver Matt Hazel from Coastal Carolina in the sixth or seventh round could be a good pick. The 6-foot-1 receiver has good hands, not great speed (4.50 40 at the Combine) but good acceleration and long strides. Played inside and outside for the Chanticleers. Would need to spend time in weight room to bulk up from 198 pounds. — Safety Alden Darby from Arizona State could also go in sixth or seventh round. If he’d been invited to the Combine he might have risen on some draft boards. He’s 5-10 and 190 pounds. He played corner and safety for the Sun Devils and was also a factor on punt and kickoff units. Ndamukong Suh is the Detroit Lions best defensive player. So why haven’t most of the devoted Lions fans embraced him? On the field Suh is all of that. He’s been voted to the Pro Bowl three of his four seasons. He’s been double-teamed since his first preseason game. He can dominate inside, although he can play out of control at times. Off the field, questions abound. It seemed Suh turned the corner prior to the 2013 season when his teammates voted him a defensive captain. It was short-lived. Captains don’t skip voluntary workouts. They especially do not snub a new coaching staff and their teammates by skipping out on a voluntary three-day minicamp which is what happened this week. Yes, it was voluntary. But all the veteran leaders were in attendance as expected. Fan reaction, for the most part, involved two words: Trade him. Oddly enough, the handful of players who were made available to talk to the media said they had not talked to Suh. Even Stephen Tulloch who was a defensive captain too. Coach Jim Caldwell has made it clear he would like to work as much with each single player as possible. That includes Suh. 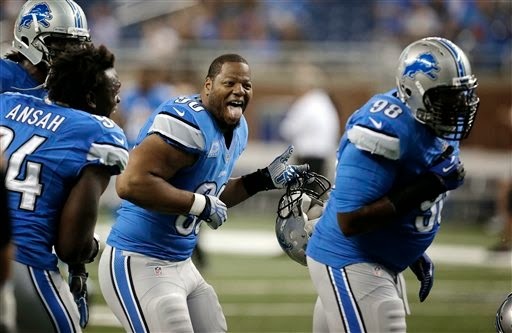 Yes, Suh and the Lions are working on an extension, but he is under contract through 2014. Mike Freeman of Bleacher Report wrote Friday that the Lions have asked around about what they could get in return for Suh. That is basically due diligence in case negotiations blow up and a deal can't get done. Team president Tom Lewand has been adamant that the Lions want to extend Suh’s contract. Last season they extended Matthew Stafford. It wasn’t complete until early July, but the quarterback didn’t miss a workout. 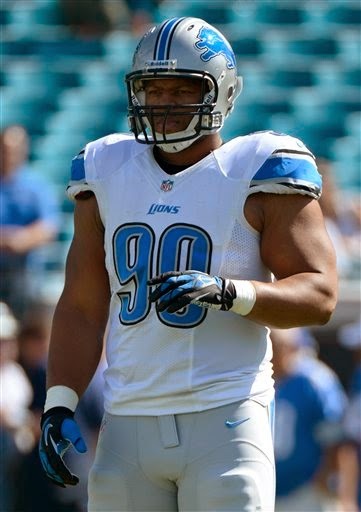 Everyone agrees that when Suh does show up, he’ll be in excellent shape. No reason to doubt that. If he doesn't want to continue to play in Detroit, it seems like that he would want to show other teams he's a good citizen by attending all offseason programs. This absence doe not make him attractive to other NFL coaches. Caldwell is trying to create a family atmosphere where the players will all trust and fight for each other. A key member of the family is missing. ALLEN PARK — Cornerback Justin Gilbert watched the final day of Lions minicamp from the sidelines today (Thursday) with Cedric Saunders, the Lions vice president of football operations. Gilbert (Oklahoma State) is making his pre-draft visit to the practice facility. He could be a strong consideration for the Lions who have the 10th pick in the draft. Wide receiver Ryan Broyles was back for a second straight day of practice. He sat out Tuesday and worked for the first time on Wednesday. He is coming off surgery to repair a torn Achilles’ on Oct. 29. Also on Thursday, right guard Larry Warford and linebacker Brandon Hepburn were not participating. The other injured players including Calvin Johnson, Joique Bell and Brandon Pettigrew were on the field but not participating. The absentees were the same as Wednesday — Ndamukong Suh, Mikel Leshoure, Chris Houston and Carlin Isles. Jason Hanson was working with kickers John Potter and Giorgio Tavecchio. Thursday’s session wraps up the three-day voluntary minicamp. ALLEN PARK — Golden Tate would welcome Sammy Watkins if the Lions somehow manage to draft the top-rated wide receiver. The Lions interest in Watkins is hardly a secret. He’s been in for a pre-draft visit and Martin Mayhew and Jim Caldwell attended his pro day at Clemson. Trouble is the Lions have the 10th overall pick and Watkins could go at No. 2, definitely in top five. Of course it’s possible the Lions could trade up. They’ve also hosted Jadeveon Clowney and Kahlil Mack, top five prospects. Tate, who was signed as a free agent, would love to see Watkins wearing Honolulu blue and silver. “The more the merrier,’’ Tate said. “I have a lot of respect for Sammy Watkins. I think he’s going to play a long time no matter where he goes. I think he’d be a great addition for this offense, a deep threat for sure ... We have a lot of explosive players if we get another one that just makes us better. “I don’t see this locker room being a selfish locker room, getting upset that we brought in another great player. I think the goal now is to win games, win the division, go deep in the playoffs, earn home-field advantage and make a run at the Super Bowl. I think that’s the only thing that’s important to us. “If you look at our work ethic, everyone is pushing each other because we want to be great, we’re chasing greatness. I think we have the potential to be special,’’ Tate said. He got a chance to talk to Watkins during his visit to Detroit. 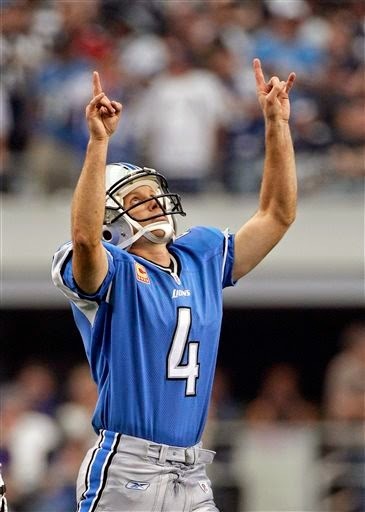 Jason Hanson is back, sort of. The Lions have brought Hanson in as a kicking consultant as they seek to find a kicker for this season, per the team web site. They have two young kickers — John Potter and Giorgio Tavecchio — signed to futures/reserve contracts. Both are working at the minicamp this week. Potter (Western Michigan) has limited regular season experience while Tavecchio (Cal) nearly beat out Mason Crosby at the Packers’ training camp last year. Hanson was asked by special teams coordinator John Bonamego to give his perspective on Potter and Tavecchio, according to the team web site. While he’s on the field he can also answer their questions. If these two don’t appear to have potential, the Lions could look to the late rounds of the draft. ESPN draft analyst said in a Wednesday conference call that the kickers he likes are Anthony Fera (Texas), Zach Hocker (Arkansas) and Chris Boswell (Rice). Hanson, a second-round draft pick in 1991, kicked for the Lions for 21 seasons before retiring prior to the 2013 season. The Lions brought in veteran David Akers last season. Sept. 8 — vs. N.Y. Giants on Monday Night Football, 7:10 p.m.
Oct. 26 — at Falcons (London’s Wembley Stadium), 9:30 a.m.
Nov. 16 — at Arizona, 4:25 p.m.
ALLEN PARK — Wide receiver Ryan Broyles, who did not practice on Tuesday, was in action today (Wednesday) in day two of the Lions’ voluntary minicamp. Broyles is coming off surgery to repair a torn Achilles’ in late October. If he is ready to go for training camp and the season, it could be a big boost to the offense. He has played in just 16 games in his first two seasons. In 2013 he had eight catches for 85 yards in six games. Running back Mikel Leshoure, who was present on Tuesday, was absent on Wednesday in the 10-minute portion of practice open to the media. Still no sign of Ndamukong Suh or Chris Houston who is injured. Eleven of the dozen who were present but not working on Tuesday remained outincluding Calvin Johnson, Joique Bell, Brandon Pettigrew, Ziggy Ansah and Jason Jones. ALLEN PARK — Mel Kiper is still moving players around on his draft board just two weeks before the NFL draft. In a conference call today (Wednesday) Kiper, the ESPN NFL draft analyst, said he rates Calvin Pryor (Louisville) as the best safety in the draft by a slim margin over Ha Ha Clinton-Dix (Alabama). The Lions could be interested in drafting a safety if they keep their 10th overall pick. “Clinton-Dix has range, he can cover, he’s a pretty good tackler ...,’’ Kiper said. 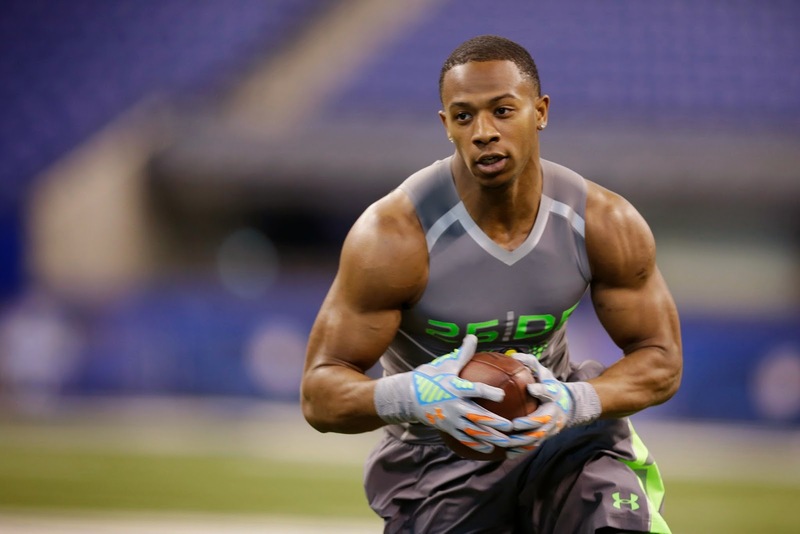 Several mock drafts have the Lions taking Clinton-Dix at No. 10. Kiper said it would be a reach to draft Clinton-Dix at that spot, but that doesn’t mean it couldn’t happen. Cornerback would also be a possibility for the Lions in the first round. 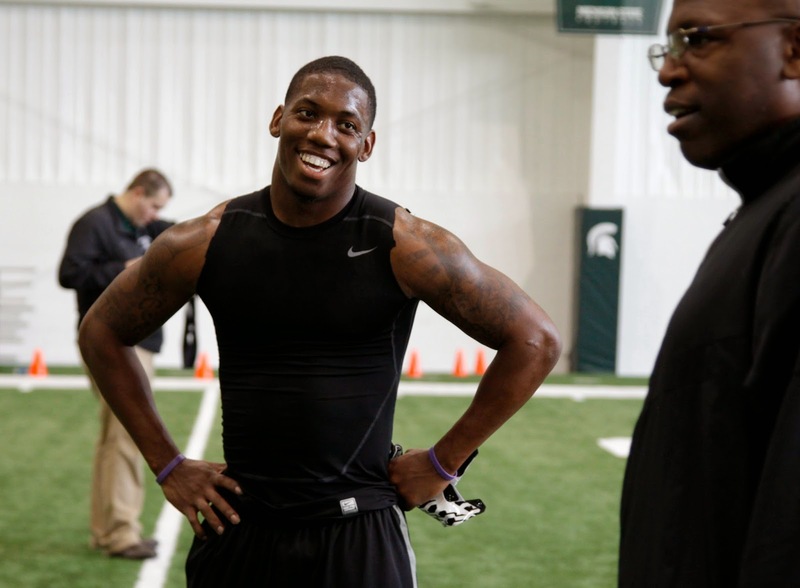 Kiper also said he sees Michigan State’s Darqueze Dennard (in photo) as the top cornerback over Justin Gilbert (Oklahoma State). 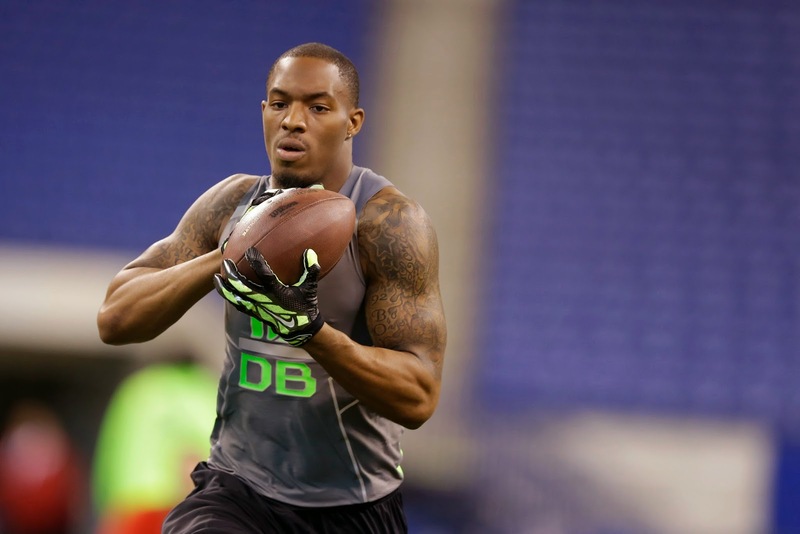 “Darqueze Dennard is an in-your-face, tough aggressive corner,’’ Kiper said. — He says it’s possibility Lions could trade up to No. 2 to draft wide receiver Sammy Watkins but it would be costly — St. Louis Rams would have to give up a shot at the top seven or eight players in the draft. 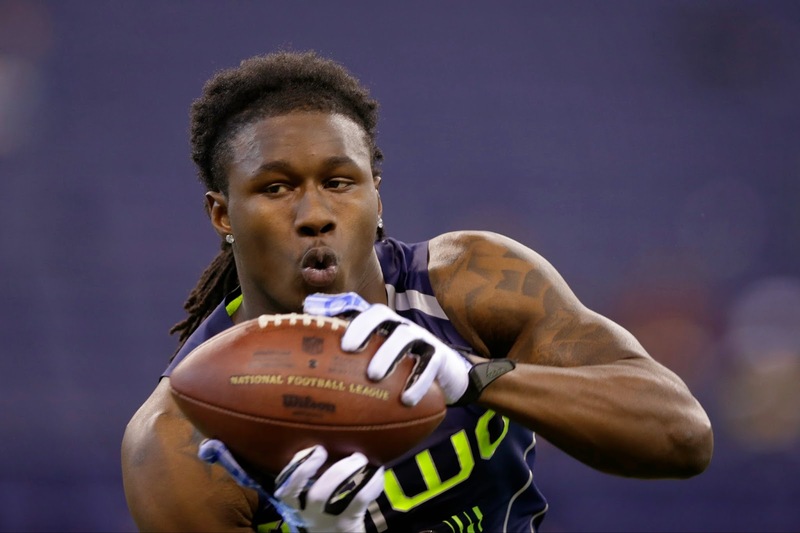 Kiper loves Watkins, says he could be as good as A.J. Green when he was drafted. — If the Lions draft a kicker in later rounds, Kiper likes Anthony Fera (Texas), Zach Hocker (Arkansas) or Chris Boswell (Rice) in that order. — Linebacker Anthony Barr has visited the Lions but Kiper projects him to be drafted in 20s rather than top 15. — Not out of the question for Michigan’s Taylor Lewan to be drafted No. 2. Doesn’t think he’ll go past No. 6. 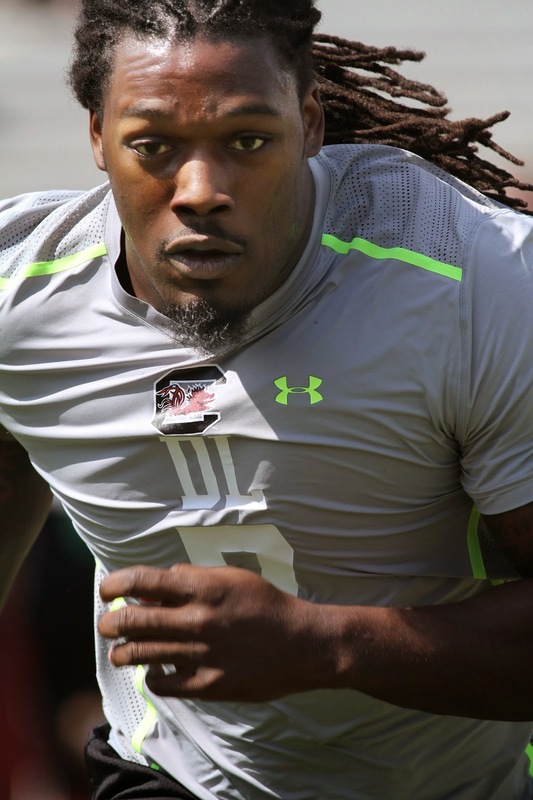 — Without question, Kiper thinks Jadeveon Clowney is the No. 1 pick whether it’s the Texans or a team that trades up. If you missed Thursday's live chat, check it out here. We had plenty of discussion about the NFL draft and what the Lions will do with their eight picks, but mostly concentrated on the first round. Great stuff. Join in at 3 p.m., Thursday, May 1, for the next chat. 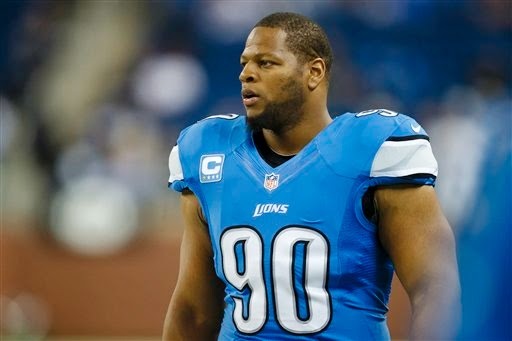 ALLEN PARK — Ndamukong Suh was one of three Detroit Lions not present at the first minicamp held by new coach Jim Caldwell on Tuesday. Also missing from the voluntary minicamp were cornerback Chris Houston and running back Carlin Isles. A dozen players were present, but not practicing including Calvin Johnson, Ryan Broyles, Glover Quin, Joique Bell, Brandon Pettigrew, Jonte Green, Ezekiel Ansah, Rob Sims, Jason Jones, Ashlee Palmer, Jed Collins and Vaughn Martin. Caldwell will speak to the media following practice. The minicamp continues on Wednesday and Thursday. Any NFL team with a new head coach is allowed this type of extra minicamp. When the Detroit Lions begin their three-day voluntary minicamp on Tuesday, they will be minus Ndamukong Suh, according to the Associated Press. Suh did not attend the first two weeks of conditioning workouts which were also voluntary. A source told the Associated Press that Suh won’t participate in minicamp this week, but will attend the voluntary workouts in May and the mandatory minicamp in June. In the past two weeks coach Jim Caldwell has made it clear he would like Suh to be in attendance at the voluntary sessions. Not only has the team worked on strength and conditioning, they have done classroom work with the new coaching staff to get familiar with the new schemes. The Lions and Suh’s agent are working on a contract extension. The Lions have been clear they expect it to get done. Suh's 2014 salary counts $20 million against the salary cap. When Matthew Stafford signed an extension in 2013, it didn’t happen until early July. Stafford, though, did not miss any voluntary workout sessions. In Mel Kiper’s latest — Mock 4.0 — which was released today (Thursday), the ESPN draft guru has the Lions drafting safety Ha Ha Clinton-Dix in the first round at No. 10. In the second round he has Detroit selecting cornerback Stanley Jean-Baptiste out of Nebraska. This changes from Mock 3.0 where he had the Lions taking wide receiver Mike Evans at No. 10. This time he has Evans going at No. 7 to Tampa Bay. In this recent mock, he has Jadeveon Clowney going first, offensive tackle Greg Robinson going second and wide receiver Sammy Watkins going to the Jaguars at No. 3. Both Clowney and Watkins have made pre-draft visits with the Lions. The biggest drop in this mock, is Kiper has quarterback Teddy Bridgewater dropping from the fifth overall pick to 33rd (the first pick in the second round). ESPN's Todd McShay also had Clinton-Dix going to the Lions in his mock draft 4.0. 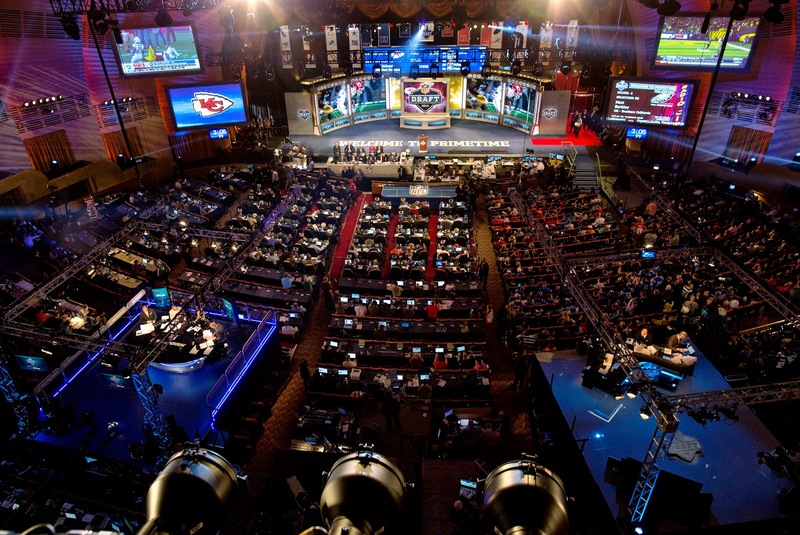 The NFL draft starts three weeks from tonight — May 8 at 8 p.m. So what are the Detroit Lions up to? Today (Wednesday) the team hosted defensive end Jadeveon Clowney who is expected to be either top pick or second pick in the NFL draft. Each NFL team is allowed just 30 pre-draft visits and now they’ve used one on Clowney. Wonder what he thinks about snow in mid-April? The Lions want to win now and adding Clowney to the defensive line along with Ndamukong Suh, would be interesting to watch unless you were the opposing offense. Clowney played at South Carolina with Lions defensive end Devin Taylor who improved game to game last season. The Lions have the 10th overall pick in the draft which is May 8-10. The team also hasn’t hidden its admiration for wide receiver Sammy Watkins who is expected to go at least top five. He visited and Lions coaches and staff were present at his pro day. To draft either Clowney or Watkins the Lions would have to move up several spots. If you missed Thursday's live chat on the Lions, check out the transcript here. Tons of discussion on draft possibilities and also other interesting topics like whether Calvin Johnson is overpaid. Hmmm. Join me at 3 p.m. Thursday, April 24, for my next chat, Lions have a three-day minicamp next week so we'll have a chance to get our eyes on the players working with the new coaching staff. Lions quarterback Matthew Stafford was one of the three highest paid players on American sports teams in 2013, according to an ESPN survey of worldwide sports salaries. Stafford, Packers quarterback Aaron Rodgers and Patriots quarterback Tom Brady were three of only seven professional athletes in the world who made at least $31 million last year. This is based strictly on salary, not endorsement money. Rodgers ($40 million) was ranked fourth while Stafford ($31.5 million) was sixth and Brady ($31 million was seventh. Lions wide receiver Calvin Johnson ($25 million) was tied for 16th with Peyton Manning and MLB’s Ryan Howard and Cliff Lee. While the Lions are looking for a kicker, they found their punter in the fifth round of the draft last year when they selected Sam Martin from football powerhouse Appalachian State. “He rewrote all the records for punting, he owns all the single season records and is second all-time rookie punter in the history of the National Football League,’’ Lions special teams coordinator John Bonamego said on Monday night at a town hall meeting for season ticket holders. 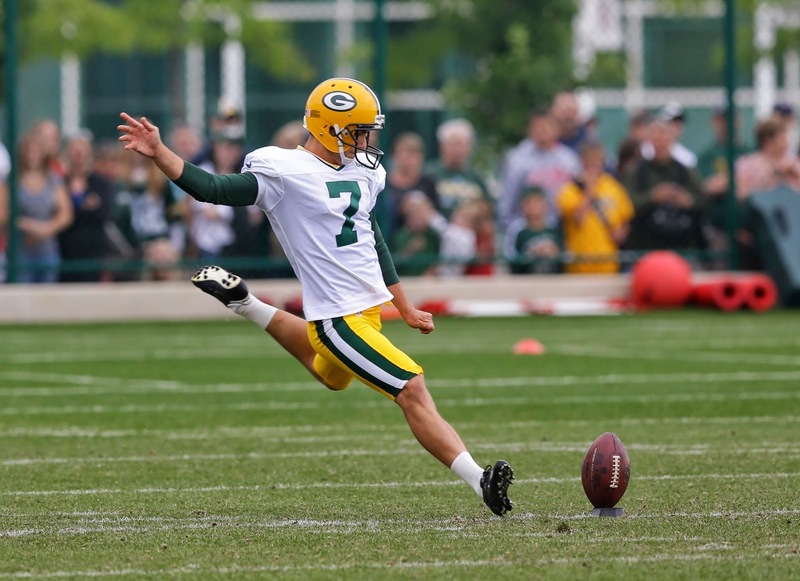 Bonamego pointed out that Martin performed “very well’’ in three areas — punting, holding for field goals and kickoffs. It wasn’t a perfect season, Martin had a few shanks and miscues, but it was still solid for a rookie. When it comes to special teams, the Lions have one key need. “The No. 1 thing we need to do is find a kicker,’’ Lions special teams coordinator John Bonamego said at a town hall meeting for season ticket holders on Monday night. “We have two guys on the roster right now who both have some experience,’’ Bonamego said. John Potter, 24, and Giorgio Tavecchio (in photo), 23, are both signed to reserve/futures contracts. “John (Western Michigan) was drafted by the Buffalo Bills, was in their training camp, he’s got regular season experience. He’s going to compete with Giorgio Tavecchio who’s also in his third training camp. Giorgio’s from Cal, he was in camp with the Green Bay Packers last year and really gave Mason Crosby a run for his money,’’ Bonamego said. The Lions minicamp April 22-24 will be key for the kickers to show what they can do. David Akers was a disappointment last year when he replaced Jason Hanson. 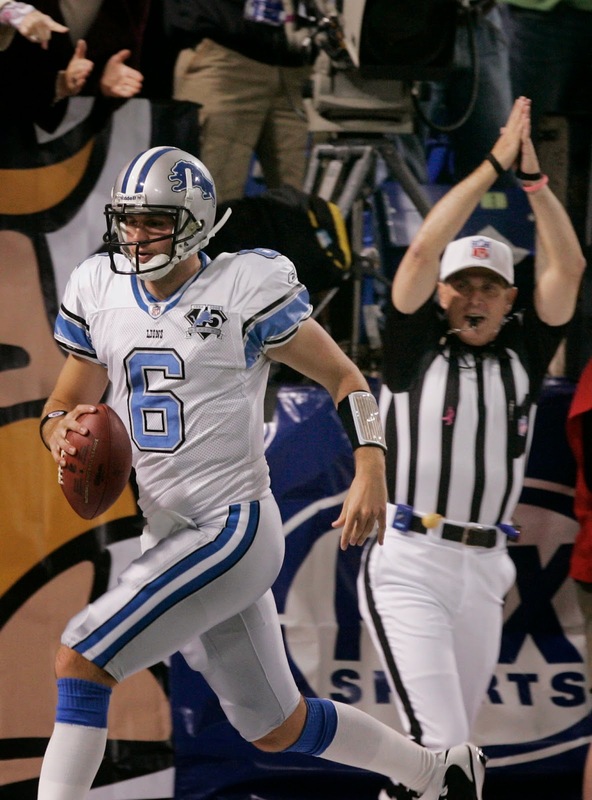 Finding a young kicker who could be around for years to come would be the ideal situation for the Lions who drafted Hanson in the second round in 1992 and kept him around for 21 seasons. 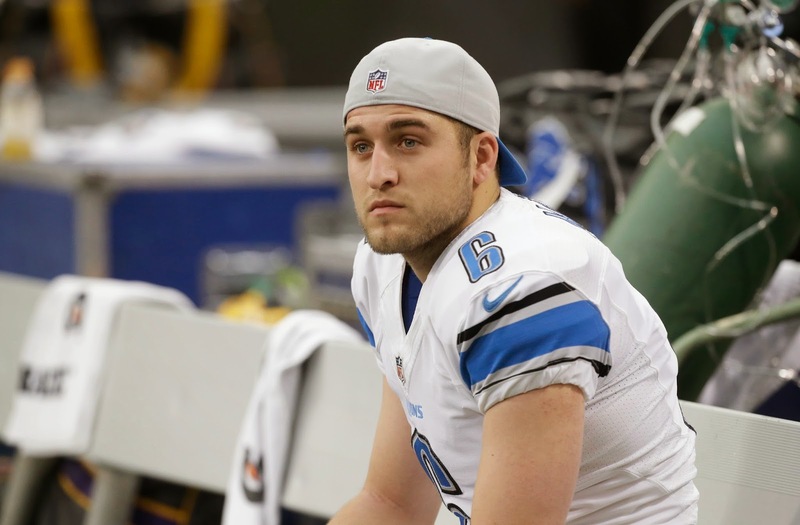 Last year the Lions drafted punter Sam Martin in the fifth round. He had a solid rookie season and they expect him to improve. Closers. The Lions have been looking for guys who can finish out a game during free agency. That will be another focus during the draft. It’s not a shock considering in 2013 they let so many wins slip away. Sheldon White, the Lions vice president of pro personnel, explained that when the Lions play, he and team president Tom Lewand make their way to the sidelines late in games. It gives them a good perspective. 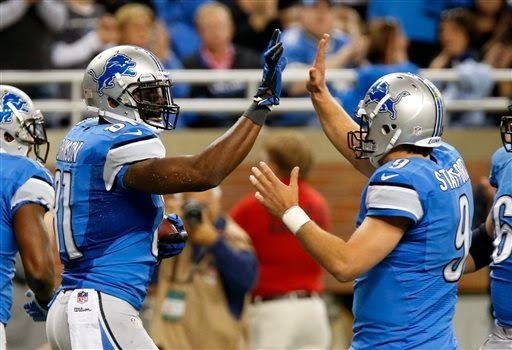 “We’re going to be there right with Jim (Caldwell) when we finish up each game. We’ll see the positives and negatives. With that we also saw six games out of seven where we did not finish,’’ White said Monday night at a town hall for season ticket holders. “We’re going to be looking for closers this year, we look for them in free agency guys who have been there, guys like our coaching staff that have been there. Guys who will not quit ... that’s what we’re looking for and that’s what we’ve done so far. We still have a lot of work to do,’’ he added. 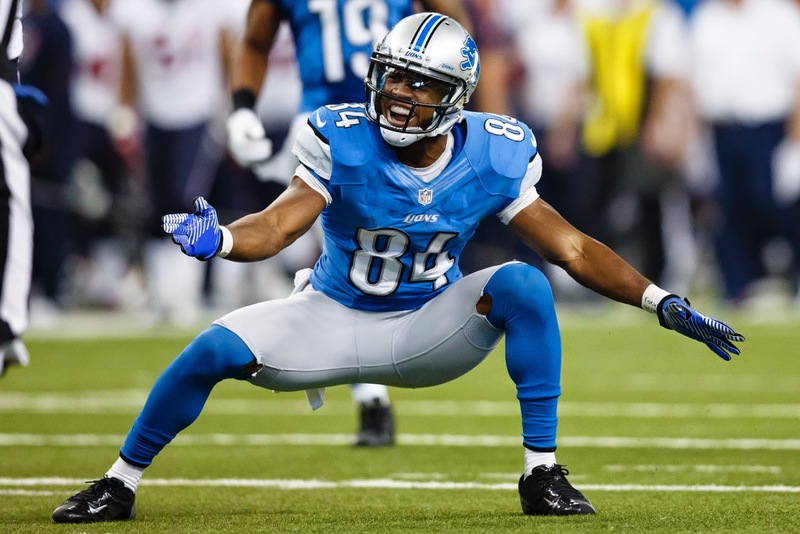 They have signed two free agents who own Super Bowl rings — wide receiver Golden Tate and safety James Ihedigbo. Caldwell, defensive coordinator Teryl Austin and offensive coordinator Joe Lombardi have won Super Bowls. You win a Super Bowl, you know what it takes to finish. Through free agency, the Lions have put themselves in a position where there is not one huge screaming need when it comes to the draft. Obviously that’s a good thing. “It’s not just simply a talent factor, obviously that makes a huge difference, but it’s also a character factor, it’s also a commitment factor, it’s also being able to gel with your teammates and create chemistry you need,’’ Caldwell said. Naturally White would not share the players the Lions are most interested in with their eight picks, starting at No. 10 overall. But he narrowed it down this way. 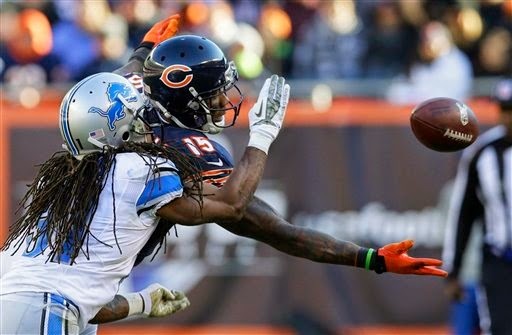 Veteran cornerback Rashean Mathis has re-signed with the Detroit Lions according to a report from Aaron Wilson of the National Football Post. Mathis, who was signed as a veteran backup last August, started 13 games for the Lions in 2013. The 33-year-old corner had 47 tackles and 15 pass defenses in 15 games. He was a valuable asset as a veteran leader for the young cornerback group. Chris Houston and Darius Slay are expected to start this season, but don’t count out Mathis. The Lions also signed free agent corner Cassius Vaughn who was with the Indianapolis Colts the last two seasons. 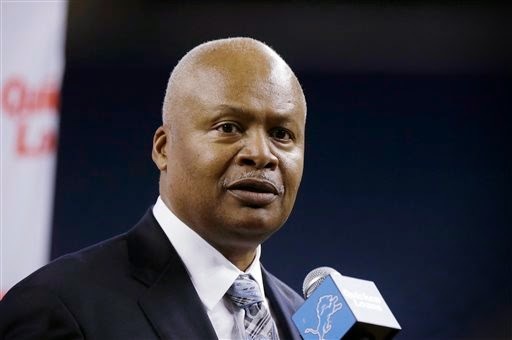 ALLEN PARK — Lions coach Jim Caldwell is pretty clear on what he wants from his players. One thing is he would like all the time allowed to work with each one. Ndamukong Suh, who was a defensive captain last season, has been absent for the first four days of the voluntary offseason workout program. 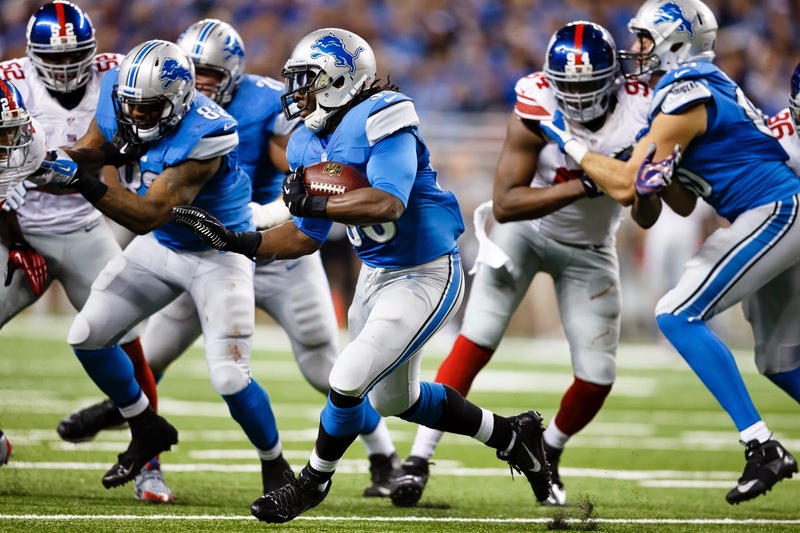 “It certainly didn’t blind-side me, we certainly knew,’’ Caldwell said on Thursday. “He and I have had more discussions than any player we’ve had on the team. He was here a couple days when I came to visit. We knew exactly what was going on. “From a coaching standpoint, it’s just like anything else. My business is to get in the position to win and win consistently. So we want every single minute of every single hour with every single player. That’s the way we want it. The rules don’t always lend that type of attitude but nevertheless that’s the way it is. We’re working, we have a great group that are here, they’re focused and we’re making progress,’’ Caldwell said. He was asked if Suh specifically told him he would not be in attendance. Quarterback Matthew Stafford was also asked about Suh’s absence. This week and next week the Lions are limited to strength and conditioning work along with meetings. A voluntary minicamp is set for April 22-24. 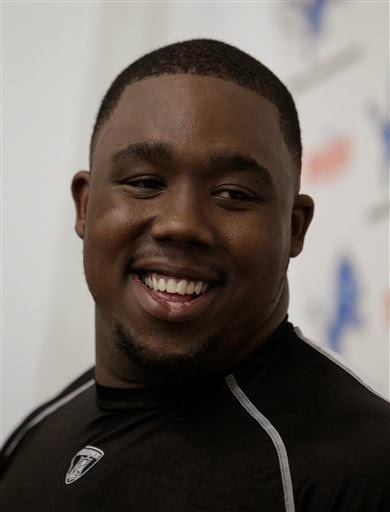 ALLEN PARK — While general manager Martin Mayhew has been clear that he wants to see improvement from Nick Fairley, Jim Caldwell checked in for the first time on the defensive tackle this morning. The coach was asked about Fairley’s attitude and hustle quotient. “We haven’t been on the field so I don’t know anything about hustle ...’’ Caldwell said smiling. During the first two weeks of this offseason program, the players focus on strength and conditioning and can’t be on the field with the coaches.